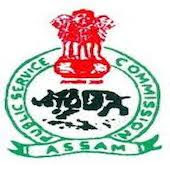 Online Application Details for Assam Public Service Commission APSC Recruitment of 1 Assistant Librarian and 106 Post Graduate Teachers is given below. Candidate's minimum education qualification for the Vacancies in Assam Public Service Commission APSC should be Graduate Degree / Master Degree in Library & Information Science, MA / M.Sc. / M.Com. with B.T. / B.Ed.